Baby. Wispy. Subtle. What do these three words have in common? They are adjectives used to describe this upcoming season’s must-have – BANGS! Yes, you read that right, the 2018 spring season is going to be all about bangs. 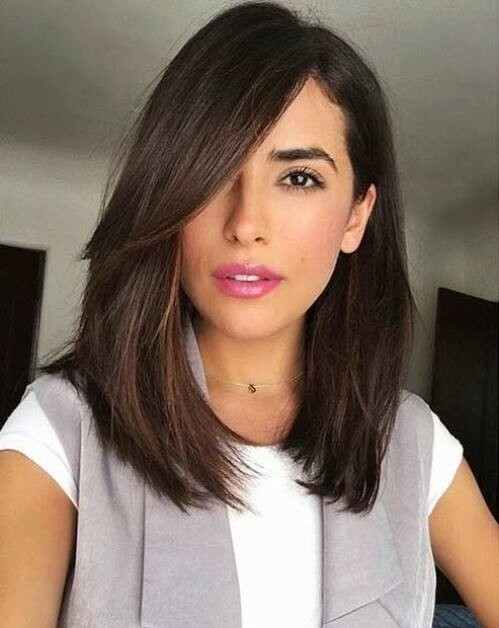 Whether you are wearing your hair long, medium, or short, and no matter your preferred style, there is a bang cut that will compliment your look and give you this trending look. This look is perfect for anyone wanting a bit of edge! It looks great with wavy bobs, long layers, and short cropped pixie cuts. This style works best for more angular faces, but can be cut to work with most facial shapes. This is a tricky cut to pull off as you want to make sure the bangs fall just right. For celebrity inspiration, check out Emma Watson’s most recent hairstyle, Victoria Beckham’s pixie cut and Alyssa Milano’s hair over the years – she’s rocked the baby bangs with several different hairstyles! Choppy, longer bangs are a great option for those who prefer a softer look. Cutting your bangs where the hair falls in line with the eyes gives a very soft and youthful appearance. This style is perfect for those with a heart-shaped or more oval face. The key to the wispy look is to keep it choppy and avoid any blunt lines. These bangs also work with almost any length of hair! Your celebrity inspirations for this look are Selena Gomez and Lea Michele. While Lea has rocked these soft bangs off and on for years, Selena is making them front and center this spring with her newest hairstyle. 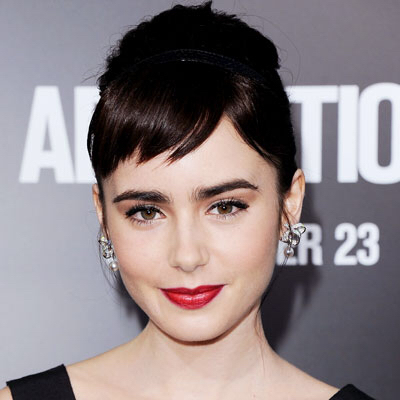 Okay, so you’re not quite ready to commit to full out bangs and the hassle of growing them back out! We get it! Why not try a subtle take on the side bang! After all, the queen of New York fashion herself, Carrie Bradshaw, umm, we mean Sarah Jessica Parker, recently revealed this very look on her Instagram. This is a great option for everyone wanting to try bangs but nervous about going too short. This longer layered fringe works best with long layered hair, so it isn’t for everyone. You want to make sure you keep the cut soft and textured, avoiding the blunt lines. We definitely recommend this cut for anyone wanting to just jazz up their current hairstyle a bit! No matter your style, there is a fringe look out there for you! Whether you are brunching in Uptown Dallas, attending a football game in Coppell, or visiting The Star in Frisco, by simply adding a bang to your existing hairstyle, you will be on-trend with this season’s hottest look! With salons throughout the greater Dallas area, Tangerine is the perfect place for you to come update your look!